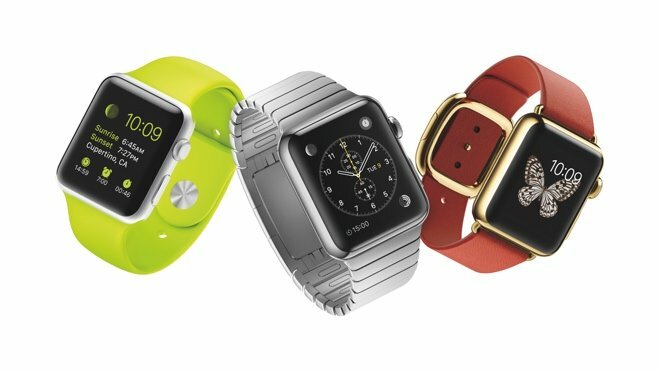 A questionable rumor out of Taiwan claims that Apple and manufacturing partner Quanta Computer are gearing up to begin mass production of the Apple Watch in January, and will manufacture a total of 24 million units in the first year. Quanta is alleged to have increased its production line workers from 3,000 to 10,000 in the second half of this year, according to the United Daily News. The number of employees is expected to further increase next year to between 30,000 and 40,000 people, the report said. However, casting doubt on the claims is the fact that the report mentions a so-called "iPhone 6s," which the publication originally believed would debut in "early spring" of 2015, but now claims has been delayed. A spring launch for a new iPhone seems highly unlikely, given that Apple has maintained a September launch window for new models on an annual cycle for the last few years. The Taiwanese report claims that Apple and Quanta are aiming to ship between 3 million and 5 million Apple Watch units at launch. The story was first highlighted by G for Games on Thursday. Apple has given a vague launch window of "early 2015" for the Apple Watch. It's believed that the company is still trying to nail down final specifications, including battery life, before mass production can begin. Final pricing of the Apple Watch also remains unknown, aside from the fact that the wrist-worn device will carry an entry price of $350. The first-generation hardware will require connection to an iPhone, and developers can now create their own Apple Watch apps through the WatchKit development tools made available by Apple in the iOS 8.2 beta.